Before starting I'd predicted this would be you're average chic-lit, boy meets girls, falls in love yadda yadda yadda; with the blurb describing the four main characters very briefly. But as I got into it, love is the traditional, common sense is far from the lead of the book. 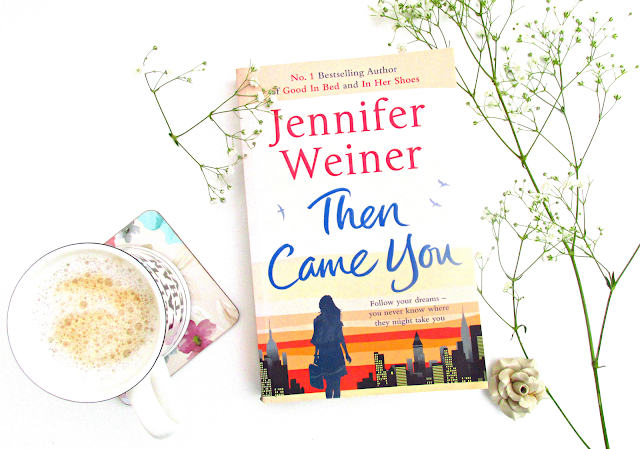 It follows four women, Annie, Jules, India and Bettina, all as individuals, each chapter being about one of them, and all having very different stories.. Annie is a your average housewife, kids, husband, farm house etc. Though, the lead in her story is her going into surrogacy to support her family. Jules, is a Collage (well, University - its set in America) student who wants money to support her farther, so after being approached, looks into egg donations. Bettina, is the daughter of a very wealth business tycoon, who begins a relationship with money-driven, businesswomen India... And so their stories unfold and begin to connect the further you get into the book..
To be honest, I hate the predictability of books sometimes, yano the whole 'oh, there's a surprise, they fell in love at the end' narrative. But, with this book, because it has such a unique core to it, its actually extremely refreshing. Ok, I've probably described the storyline very very badly, but I genuinely enjoyed this book. Before I decided to read (and finish it) last night, I was so exited to find out what happens, because there's so many surprises that it keeps you interested... its a light read I'd say, its not too challenging and I'd say its not hard to get into at all, though its a definite 9.5/10, definitely worth a read, I'd say!